Ready to link up your July finishes? Don't panic - this link-up is open until July 31 at 11:55 pm ET. My goal for July was to turn my hexies into a pillow. I love it! You can read about the process of creating this pillow on this post. 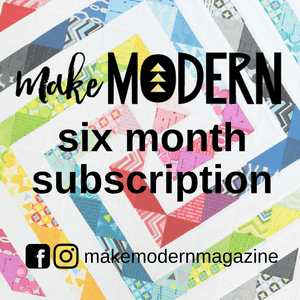 There will be three winners this month - Fat Quarter Shop is offering a $25 gift certificate, Make Modern Magazine is offering a 6 month subscription to their digital magazine and Pat Sloan is offering a Aurifil thread box! I'm afraid I crashed out this month. Maybe next month I will do better. 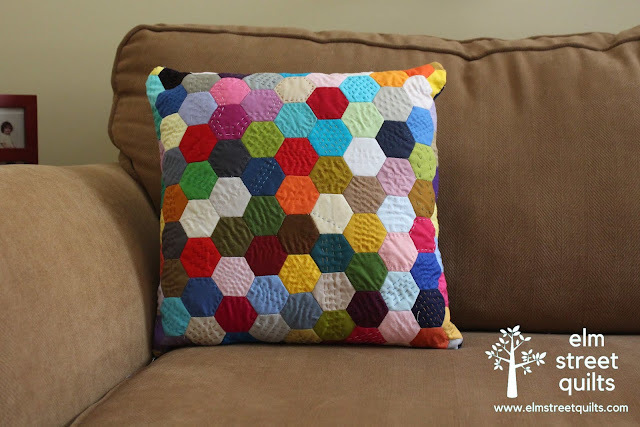 Loving your hexie pillow! Finishes are so much fun. Great job accomplishing your goal! Your pillow is adorable. Well done for finishing it! Beautiful pillow, your hexies are lovely! Congrats on your finish. Love your pillow. Hexie are so much fun. Lovely colourful pillow with such wonderful hand quilting! Thanks so much for hosting OMG! I love the pillow too! Congrats on your finished goal! The pillow is so bright and happy and I appreciate all the work that went into it. But... completely satisfying. Adorable pillow! 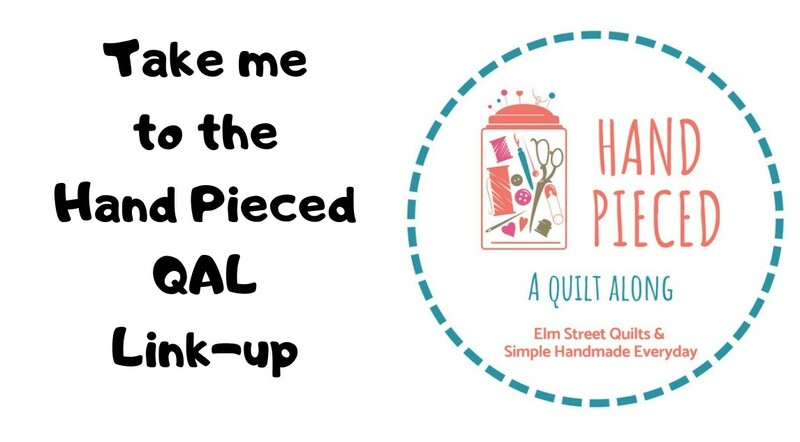 I love the hand quilting. Your pillow looks great on the sofa--love the stitching! Tour hexagon pillow has turned out great. 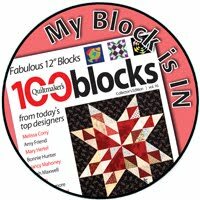 Thanks a lot for hosting this fun for quilters around the world. Congratulations on meeting your goal. The pillow looks fabulous against your tan couch. I think I'm going to squeak in under the wire. I love your hexie pillow! I'm going to have to try that one of these days! Congrats on finishing your July OMG. The hexie pillow turned out beautifully. I too love your hexie pillow and I really like the quilting. I've thought of attempting hexies but never wanted to do a whole quilt, a pillow might be just right. I love your pillow. Did you trim your hexagons into a square, or add half hexagons around the outside? I too have hundreds of hexagons and wonder what to do with them! Beautiful pillow. I love the hand stitching!